On Thursday, USC’s Neighborhood Academic Initiative hosted Gene Simmons at the University Club as a guest speaker for 60 students currently in the program. Others in attendance included Pavel Krapivin, vice president of Warner Bros. and former student of the USC Math, Science and Technology High School, and Kim Thomas-Barrio, executive director of NAI. NAI is a college access and success program with neighborhood students in grades six through 12 in conjunction with the university. “[This program] allows the academic rigor students need and the support families need for first generation college-goers from underrepresented minority groups,” Thomas-Barrios said. Since its first graduating class in 1997, NAI has graduated more than 700 students. Forty percent of those graduates attended USC with a full four-and-a-half year scholarship package, not including loans. “All of this is in a neighborhood where about 50 percent of the students who attend neighborhood high schools drop out before graduating from high school,” Thomas-Barrios said. 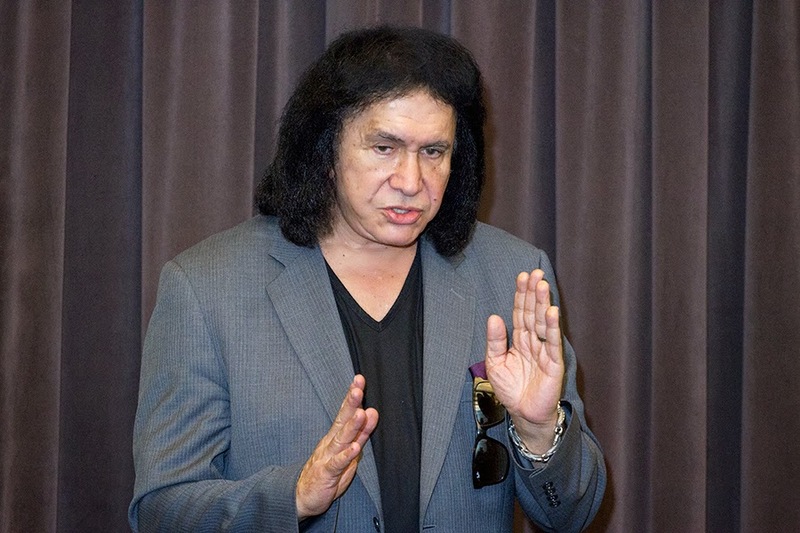 Thomas-Barrios said the decision to have Gene Simmons speak to a group of NAI students was an easy one for her and colleagues, who knew that students could relate well to Simmons, who immigrated to the United States from Israel with his mother when he was only 9 years old. Simmons, like many of the students at the USC magnet schools, did not speak English as a first language. Simmons encouraged every student to do what he did: work as hard as possible each and every day, rather than giving up in the face of adversity. “When you take a look at the most powerful people in the world, they’re not the prettiest, they’re not the tallest … they may not be the smartest. They worked the hardest,” Simmons said. Pavel Krapivin, a colleague of Simmons’ and a former student of Thomas-Barrios’, was also able to relate to the current students of NAI as an immigrant who did not speak English as his first language, but taught it to himself by reading science textbooks. Krapivin, who attended USC after high school, has stayed close to NAI and his former professor and principal. His success story is one of the many inspirations current NAI students have. Simmons, known for his role in the rock band KISS, encouraged students to ignore unsupportive people and to always believe that they are extraordinary. One of the things Simmons emphasized to the students was that nobody was stopping them from succeeding except themselves.